We are challenged in God's Word to walk worthy of our calling. This requires that we learn God's ways in our battle against the world, the flesh and the devil. 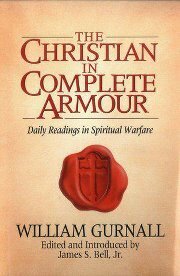 We will be using The Christian In Complete Armour for our daily devotional in 2012 to assist us in the daily battle. You do not need to purchase the book but it will add depth to your daily study. Please share this opportunity with your friends as well. At the beginning of 2011 we began a study of What God calls us when He calls our name or the names of the believer. We have reached the end of that study. I am resending our first devotional and trust God has blessed you along the way as you have learned to know what he says about you. 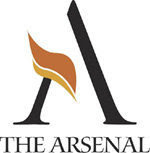 After Christmas I will send you an email with the good news of what we study in 2012. It has been our delight to do these studies and to hear back how God has been working in you as a result of His truth growing in you. It has been our honor to be an encouragement to you. Remember He is your source in every area of life, spirit, soul (mind will and emotions) and body. He provides His life and your provision in every area! 1 NOW THE boy Samuel ministered to the Lord before Eli. The word of the Lord was rare and precious in those days; there was no frequent or widely spread vision. 2 At that time Eli, whose eyesight had dimmed so that he could not see, was lying down in his own place. 4 When the Lord called, Samuel! And he answered, Here I am. 5 He ran to Eli and said, Here I am, for you called me. Eli said, I did not call you; lie down again. So he went and lay down. 6 And the Lord called again, Samuel! And Samuel arose and went to Eli and said, Here am I; you did call me. Eli answered, I did not call, my son; lie down again. 7 Now Samuel did not yet know the Lord, and the word of the Lord was not yet revealed to him. 8 And the Lord called Samuel the third time. And he went to Eli and said, Here I am, for you did call me. Then Eli perceived that the Lord was calling the boy. 9 So Eli said to Samuel, Go, lie down. And if He calls you, you shall say, Speak, Lord, for Your servant is listening. So Samuel went and lay down in his place. Discerning the voice of God and His Spirit and knowing the difference between His voice and the voices of the world, our flesh or the devil is an important part of every believer’s life. One of the keys to discerning the voice of the Lord is knowing Him and knowing what He says about us. We will be able to enjoy the fullness of our salvation and life in the Kingdom of the Son when we better understand what God says about us throughout the Bible. This week either on paper or on your computer make three columns and for the heading over the first write what others have said about you, for the heading over the second write what you say about yourself and for the heading over the third write what you think God says about you. To help keep this exercise short limit each column’s list to no less than three and no more than ten items that apply to the heading for that column. Do the things in each column agree or are their differences between what others say or have said, what you say and what think God says? Keep this list so that you may compare each week what you are learning about what God says about you, to what others have said, what you say and what your initial list of what you think God says. 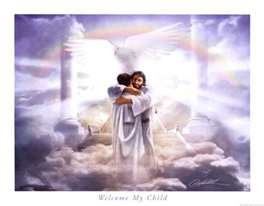 · John 1:12 I am God's child. · John 15:15 As a disciple, I am a friend of Jesus Christ. · Romans 5:1 I have been justified. · 1 Corinthians 6:19-20 I have been bought with a price and I belong to God. · 1 Corinthians 12:27 I am a member of Christ's body. · Ephesians 1:3-8 I have been chosen by God and adopted as His child. · Colossians 1:13-14 I have been redeemed and forgiven of all my sins. · Colossians 2:9-10 I am complete in Christ. · Hebrews 4:14-16 I have direct access to the throne of grace through Jesus Christ. I am secure...In Christ, I am totally secure; I renounce the lie that I am guilty, unprotected, alone or abandoned. · Romans 8:1-2 I am free from condemnation. · Romans 8:28 I am assured that God works for my good in all circumstances. · Romans 8:31-39 I am free from any condemnation brought against me and I cannot be Separated from the love of God. · Colossians 3:1-4 I am hidden with Christ in God. · Philippians 1:6 I am confident that God will complete the good work He started in me. · Philippians 3:20 I am a citizen of heaven. 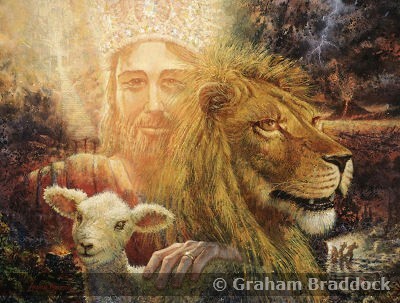 · 1 John 5:18 I am born of God and the evil one cannot touch me. I am significant... In Christ, I am significant; I renounce the lie that I am unimportant, inadequate, incompetent or powerless. God says to me. · John 15:5 I am a branch of Jesus Christ, the true vine, and a channel of His life. · John 15:16 I have been chosen and appointed to bear fruit. · 1 Corinthians 3:16 I am God's temple. · 2 Corinthians 5:17-21 I am a minister of reconciliation for God. 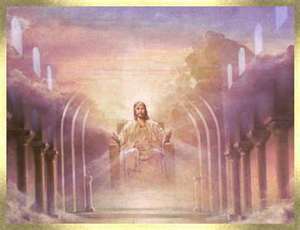 · Ephesians 2:6 I am seated with Jesus Christ in the heavenly realm. · Ephesians 2:10 I am God's workmanship. · Ephesians 3:12 I may approach God with freedom and confidence. · Philippians 4:13 I can do all things through Christ, who strengthens me. Thanks to Neil T Anderson for these great teachings. 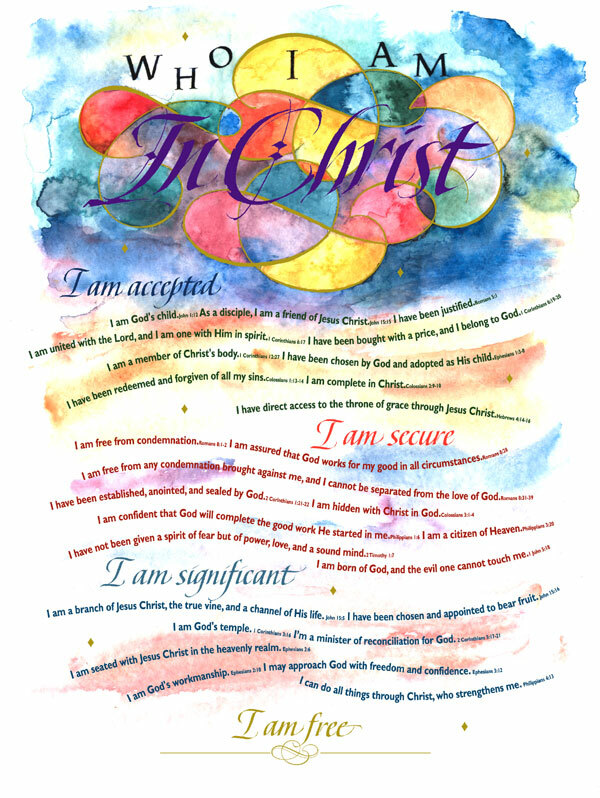 I am secure...In Christ, I am totally secure; I renounce the lie that I am guilty,unprotected, alone or abandoned. · 2 Timothy 1:7 I have not been given a spirit of fear but of power,and a sound mind. Many large corporations publish what they call an "employee's guide" or an "employee's handbook." This manual provides detailed information about how the company operates. In essence, it serves as a kind of corporate rule book. The church has a similar manual. The New Testament outlines the principles by which the church is to operate. While the entire Bible has bearing on the life of the church, the pastoral epistles, including the book of 1 Timothy, provide specific instructions about its organizational structure, policies, and practices. According to 1 Tim 3:15, one of the reasons Paul wrote this epistle was so that Timothy would know how to conduct himself in the "God's household." The Greek term that is translated "household" often refers to a dwelling place or house. The phrase "house of God" is frequently used in reference to the tabernacle and the temple (Ex 23:19; Deut 23:18; 1 Chron 9:13; Matt 12:4). It can also refer to a group of people. When it is used in this latter sense, it often means "family" (Gen 17:23; Acts 10:2). At times, both senses are combined. Heb 3:4-5 notes that, "every house is built by someone, but God is the builder of everything" and then characterizes Moses as being "faithful as a servant in all God's house." In 1 Tim 3:14-15, Paul combines both ideas when referring to the church. It is the household, or family, of God. Consequently, many of the principles that are true of the family also hold true in the church. For example, those who exercise leadership in the church must also have a proven record of leadership in the home: "If anyone does not know how to manage his own family, how can he take care of God's church?" (1 Tim 3:5; cf. 3:12). Like any family, God's household has an authority structure. Those who serve as elders ex- ercise "oversight" over God's people and "shepherd" them like a flock (1 Peter 5:1-2). As shepherds, the church's elders provide guidance for God's people. The typical member of the church is focused primarily on the present. The elder is interested in the present but is also equally concerned with the church's future. Without a clear sense of direction, the elder will be driven by the flock as it scatters in every direction. The church's elders also provide protection. When Paul gave instructions to the elders of the church of Ephesus, he charged them: "Keep watch over yourselves and all the flock of which the Holy Spirit has made you overseers. Be shepherds of the church of God, which he bought with his own blood" (Acts 20:28). The elders protect the church from threats that come from the outside by guarding against false teachers and false doctrine. They also guard the church from threats that come from inside the church by holding the flock accountable. When they see God's people straying in their Christian lives, part of their responsibility is to guide them back to the proper path. At times, this can be a painful process. Just as the Palestinian shepherd had to use his staff to prod the sheep, the elder must sometimes use the Word of God and the process of church discipline to goad erring believers. The work of an elder is difficult. It is time-consuming and can be discouraging. An elder often finds that God's people are unresponsive to his efforts to steer them back to a more biblical path of life. The danger in such circumstances is that the elder will develop a grudging spirit. Because spiritual leaders often have access to the church's funds, greed is a real danger. However, we might also expand this warning to include other forms of gain. For example, it could include those who aspire to positions of leadership in the flock because of pride or because they wish to control the church. There is authority in spiritual leadership, but it is the authority of a servant. Those who serve as elders in the church function as caretakers rather than kings. They are to be examples rather than emperors. The church is a family, but it is also a temple. In addition to being "the household of God," it is "the pillar and foundation of the truth." It is important to carefully note Paul's wording. He is not merely saying that the church is founded on the truth. The church is built upon the foundation of Jesus Christ, who is the gospel proclaimed by the apostles (1 Cor 3:11; Eph 2:20). The gospel is called "the word of truth" (Col 1:5). In 1 Tim 3:15, however, Paul says that the church is itself the pillar and foundation of the truth. It could be said that the truth is as dependent upon the church as the church is upon the truth. The church is a support to the truth because it has been entrusted with the gospel and has been given the responsibility of preserving and communicating it. The church is both the household of God and the house of God. Its members comprise God's family, and God Himself dwells in their midst. It is both the place where God is worshiped and the repository of divine truth. We cannot protect this truth if we refuse to live by it. Heavenly Father, instruct me through Your Word so that I know what is expected of me as a part of Your household. Teach me by Your truth so that I can truly be its pillar and support. Amen. I am significant... 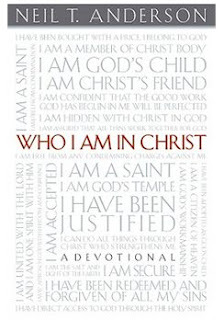 In Christ, I am significant; I renounce the lie that I am unimportant, inadequate, incompetent or powerless. I can do all things through Christ, who strengthens me. Adam Clarke's Commentary gives us these additional ideas. '[I can do all things] It was not a habit which he had acquired by frequent exercise, it was a disposition which he had by grace; and he was enabled to do all by the power of an indwelling Christ. 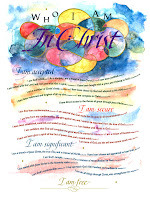 Through Him who strengtheneth me is the reading of some of the best MSS., versions, and fathers; the word ‎Christoo‎, Christ, being omitted. It is refreshing and encouraging that this great well educated man of God was like us and needed God to give him the victory in everyday life. The UBS New Testament Handbook Series gives us the following understanding. In union with Christ represents the Greek phrase "in whom." The phrases in union with Christ and through our faith in him state the basis for the boldness which people may have in entering God's presence. This relationship is often expressed as a type of cause, for example, "because we are linked closely with Christ and because we have put our trust in him." 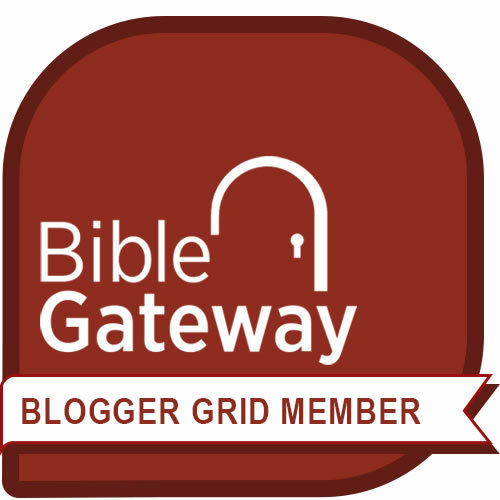 In the Greek text the two nouns "boldness" and "access" are governed by one article, and the meaning is "the boldness to enter"; for "access" see verse Eph 2:18; the Greek :noun for "boldness" is used also in verse 6:19 (and see the verb "to be bold" in verse 6:20); and the following phrase "in confidence" further strengthens the expression of boldness: "we have the boldness to enter confidently." TNT takes "boldness" in its more literal sense of "freedom in speech" and translates "we may confidently draw near to God and speak freely with him"; likewise NAB (and Westcott); this is possible, but the more general idea of boldness seems preferable. The sentiment expressed in this verse is the same as that in 2:18. In place of the statement we have the boldness it may be better in some languages to say "we can be bold too." But in some instances a negative expression may be more satisfactory, for example, "we do not hesitate to" or even "we are not at all slow to." The phrase with all confidence may be expressed as "being confident he will hear us" or "being confident that he will pay attention to us." It is often not enough to speak about "having all confidence," for one must indicate in what respect this confidence is applicable. Through our faith in him represents the last clause of the verse in Greek, literally "through his faith" ; this is how the vast majority of commentators and translators understand the Greek, but Barth understands it to mean "because of his faithfulness." Instead of the noun faith, many languages will use a verbal phrase such as "know we trust (or, believe) in him." It is an amazing to me that God’s grace through the Life. Death and Resurrection of Jesus Christ makes it possible for us who were previously barred from God’s presence because of our sin and rebellion toward God, that now we can freely and even boldly come into God’s presence as His deeply loved children! WOW, talk about God’s goodness! I trust this truth will cause you to a renewed joy in your walk with God! [For we are his workmanship] So far is this salvation from being our own work, or granted for our own works' sake, that we are ourselves not only the creatures of God, but our new creation was produced by his power; for we are created in Christ Jesus unto good works. He has saved us that we may show forth the virtues of Him who called us from darkness into his marvelous light. For though we are not saved for our good works, yet we are saved that we may perform good works, to the glory of God and the benefit of man. [Which God hath before ordained] ‎For which God before prepared us, that we might walk in them. For being saved from sin we are made partakers of the Spirit of holiness; and it is natural to that Spirit to lead to the practice of holiness; and he who is not holy in his life is not saved by the grace of Christ. The before ordaining, or rather preparing, must refer to the time when God began the new creation in their hearts; for from the first inspiration of God upon the soul it begins to love holiness; and obedience to the will of God is the very element in which a holy or regenerated soul lives. May these truths empower you today! The grace of god which a vital theme in Ephesians leads us to an amazing promise of being with Christ in the heavenly realm in the future but we begin to experience it in this life. We are now IN Christ and we begin to experience life in Him in our everyday lives. “Scholars have compared the image of the exaltation of the believers in 2:6 with the fairly common Jewish image of the righteous enthroned in the world to come; Christians have begun to experience the life of the coming age in advance (see comment on 1:14). The context would drive an additional point home especially forcefully to readers once enslaved by fear of Fate or the stars: to be "seated with Christ" means in 2:6 what it meant in 1:20-21 - to be enthroned over the evil powers. Christians need not fear demons, Fate or anything else; their lives are ruled by God.” These comments are from the IVP Bible Background Commentary: New Testament by Craig S. Keener.